Last Saturday, I had a wonderful experience in the midst of absolute tragedy. It was an unfortunate task but an incredible honor to officiate a memorial service for a young mother and wife. Her death was sudden, unexplained, and unexpected to say the least. Naturally, the family and the community around them (myself included) were saddened and heartbroken. However, what I witnessed in our community was astounding. In fact, I think the Haslet community as a whole operated the way the local church was designed to from the beginning. It is always encouraging, but really not much of a shock to see people in this tight-knit community come together to meet the needs of one of our own. But this time was different. One of the needs provided for this time was a bit unique– they put on a funeral. Yes, they put on a funeral! The memorial service was held at our Fellowship of the Parks Haslet campus, but the bulk of the work was done by co-workers, friends, and neighbors of the family. About 20 people were waiting for me when I arrived at the church Saturday afternoon. They received floral deliveries, prepped the lobby, greeted, served as ushers, set up food, handed out programs, worked the media booth, and more. The Bible instructs us to “not love with words or speech but with actions and in truth” (1John3:18). The actions of the friends, family, co-workers and neighbors spoke loudly about the love they had for this family. You might be wondering who thought to recruit 20 people to plan a memorial service. And the answer makes perfect sense. The one who spearheaded this whole thing is man who was cared for by this community when he lost his own young wife just a couple years ago. He’s just one of many others who have been the recipient of local community outreach. 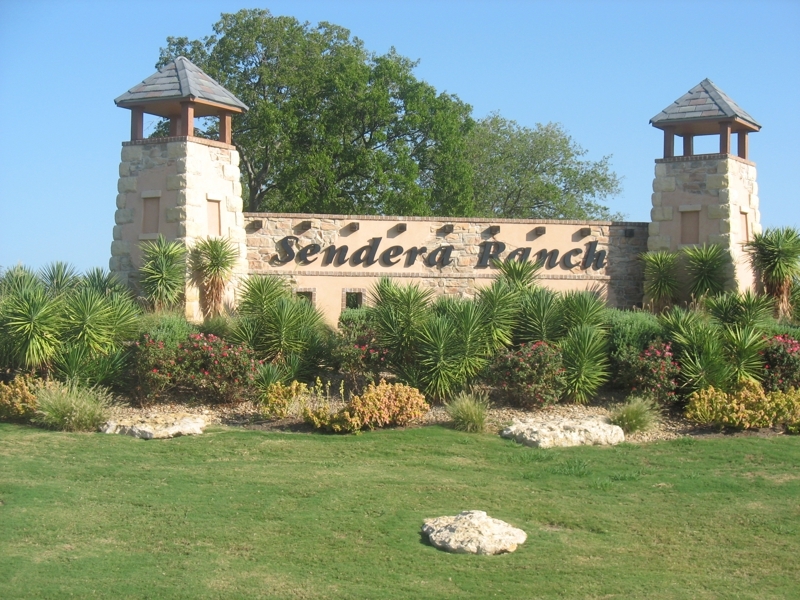 I have lived in the Sendera Ranch community in Haslet for 11 years and have lost count of how many times I’ve seen our neighbors come together to support each other. As a great example of what we as the church have been called to do, these neighbors have NOT gotten tired of coming together to do good for others. The Apostle Paul urges us to work together for the good of all and to not let fatigue get in the way of doing good works (Gal 6:8-10). We are told in the book of Acts that the first churches, or community of believers, sold their property and possessions to give to anyone in need. I’ve seen hundreds of people (not an exaggeration) show up to a fundraiser for a single family, yearly traditions started to honor a military family who lost a son, and tradesmen provide free services to those that couldn’t afford it. There are numerous stories of houses being furnished for single moms, kids being clothed, school supplies being purchased, rent being paid, jobs being offered, and even people taking others into their homes for a spell. This happens for the guy that everyone knows, the quiet family you never hear from, and the family that just moved in. It is amazing how one person’s troubles can bring out the best in a large number of families. And it’s unfortunate that this is not always the case everywhere. I am incredibly grateful that our church gets to actively participate in an environment such as Haslet. I’m grateful because I know that this kind of large-scale community doesn’t just happen. It isn’t just an instant reaction. It takes intentional and committed individuals who genuinely care about following Jesus and loving people. For this community and our church alike will never get tired of doing good, being generous to anyone in need, and loving with more than words. How are you participating in and creating this kind of environment in your home, neighborhood, workplace, and your church? Spearheaded is a strong word…….it’s easy when you have friends waiting to help and wanting to do anything they could to contribute. I was heartbroken the moment I heard about Katie, but I knew God had equipped me to help out. I’m not an expert by any means….but I have more experience than most unfortunately. And the one thing I learned is you can’t have enough support in tragedies like this. There is no such thing as too much food….too many texts or phone calls….too much financial support. the other thing I know is you can’t have too much Chuck Macheca. You were there for me and my family….there for Kris and his family….and will be ready to help the next family in need. You are a good man and have made me want to be better. The response by FOTP is a direct response by how we are led…much credit to Chuck for creating the kind of environment where this type of unselfish giving takes place. We are so glad to be a part of FOTP! Wow!!! No words can follow up that Chuck! God has specifically guided me to do good and help others. When I can’t do anything to contribute in a time of need, I still pray. Sendera Ranch has definitely been a wonderful neighborhood to feel at home in. You’re absolutely correct when you say this community came together. Estimated (400) people at the service. Food, flowers, help, prayers, even all the funds raised were astounding! As you mentioned, it’s not the first time we have all been united and helped out, and it won’t be that last. So proud to call this place my home!! Great people live here and they do great things! We have a wonderful place to worship Jesus in at FOTP, as well as the most amazing pastor Chuck!!! Very moved by this article. Thank you for sharing. Such an accurate description of our community, and a moving message about helping those in need. Thanks Chuck, for posting. Very moving. My wife and I are new members to the church and this type of philanthropy is the exact feeling we felt on day 1. God is definitely doing good things through the church, community, and our pastor. I am not sure what trials the family referenced in the post is enduring but we will definitely add them to our prayers. If there is anything my wife and I can do please let us know.